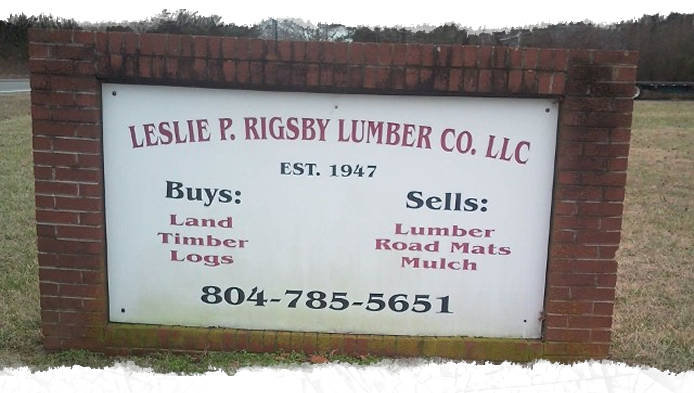 Leslie P. Rigsby Lumber Co. is your source for logging mats and hardwood lumber products in Saluda, Virginia. We buy hardwood logs and timber to produce and sell rough-cut hardwood lumber, logging mats, wood chips, sawdust, bark, and mulch. Established in 1947, our hardwood lumber company is a family-owned-and-operated business that is dedicated to meeting your lumber needs. Contact us to place an order. availability and competitive pricing on hardwood lumber. 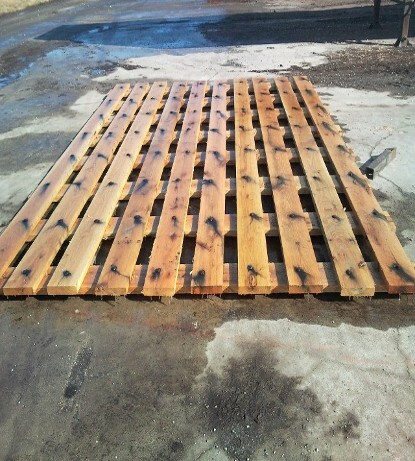 Protect your equipment from uncertain terrain with our strong logging mats. Measuring 10' x 14',10' x 12',or 8' x 14', our ALL OAK deck and logging mats help extend roads across ditches, beaches, and muddy spots. They have a weight capacity of 40 tons. Available and ready for pick up today. Meet your hardwood needs with our varied selection of lumber products. 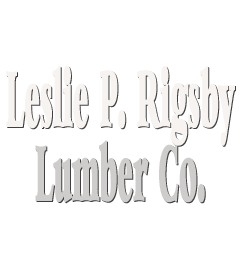 If you require a specific cut of lumber, we will be happy to provide it for you. Since we do not currently offer delivery services for small order's, you must pick up your hardwood lumber. Delivery available for most large orders. Rough-cut hardwood lumber is available in custom dimensions by your request. We offer 6/4 lumber and 3½ lumber. Ask about our oak-cut lumber as well! Perfect for any application, our sawdust is available by the yard. Small buckets of sawdust are $10 and large buckets are $50. Call for availability. Fill in your garden with our hardwood mulch, which is sold by the yard. A small bucket of mulch is $20 while a large bucket of hardwood mulch is $100. Call for availability.